When I introduce myself at conferences and presentations I claim to be an “accidental human resources (HR) person.” Like many other people who became “accidental project managers” or “accidental trainers,” I stumbled into HR because of recent employment with the U.S. Office of Personnel Management. I was initially hired for my information technology (IT) development skills and my project management certification. 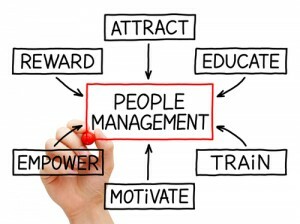 Even so, as I continued to work in HR, I became intrigued by topics such as training and talent management. I am especially fascinated by how much HR has changed from purely transactional processes to becoming a vital strategic partner in organizations. One of my favorite thinkers in HR is Josh Bersin, who writes about the future of the industry. Although his writings concern the evolution of HR in the private sector, I believe that many of his concepts apply just as well to the public sector. Recently, Bersin has been writing about the replacement of talent management by “people management.” He argues that the traditional talent management model of “hire to retire” does not reflect the new realities of work. Instead of hiring people that will stay with an organization and climb the corporate ladder, today many workers act like professional athletes. They will stay with an organization as long as their work is satisfying and aligns with personal interests and development. Under the people management model, organizations need to focus on creating an engaging culture through good leadership that empowers workers. Bersin outlines nine imperatives for talent management. The imperatives range from “improving management and leadership” to “delivering and managing [the] employment brand.” Even though these imperatives were derived from studying private sector companies, the imperatives could easily apply to government agencies especially those that deal with increasing engagement, improving the speed and quality of hire, accelerating time to competency/capability and assessing and improving [the organization’s] culture. In fact, I can see these imperatives reflected in the Federal Employment Viewpoint Survey (FEVS) results. (1) Helping agencies create a culture of excellence and engagement that enables the highest possible performance from employees. (2) Assisting agencies in building a strong, world-class federal management team, beginning with the Senior Executive Service (SES). (3) Helping agencies draw from all segments of society in order to ensure that they hire the best talent. Under each of these themes are supporting tools and methods to build a high-engagement and high-worker-empowerment organization. According to Bersin, many modern successful companies such as Google and Apple already practice the five major themes. These same five major themes can also help to create simply irresistible government agencies. According to the FEVS, many government workers agree that their work is meaningful and that is what drives their engagement. Also, many government employees give high scores to their immediate supervisors; thus two of the five themes are already in place. What remains is to improve the work environments of agencies while increasing growth opportunities and trust in senior leadership. The People and Culture sub-goals seem to be in the right direction to building simply irresistible federal agencies. As the title suggests, this is just one possible future for government HR management. I am not advocating that governments simply adopt all of Bersin’s work. The public sector has constraints and advantages that are not found in the private sector. However, the talent imperatives of improving leadership, innovating hiring practices and increasing engagement toward creating simply irresistible government workplaces is where government HR management should be heading. Workplace realities have changed. Governments also need to change their approaches to managing their people.